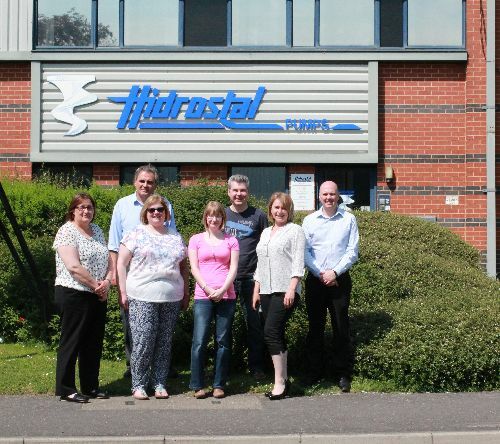 Hidrostal (GB) Ltd is the UK holding company for Hidrostal, owning 100% of Hidrostal Ltd and Bedford Pumps Ltd.
Bedford Pumps Ltd is one of the UK’s leading manufacturers of large submersible and conventional pumps to the water and wastewater industries. Together with their sister company, Hidrostal Ltd, the UK sales division of the renowned Swiss based manufacturer, the two companies offer a complementary range of pumping solutions from 0 to 12,000 litres per second. From standard off the shelf products to complex bespoke design solutions, the combined specialist engineering knowledge from the two companies ensure that any pumping need within the water, wastewater and industrial markets can be fulfilled. 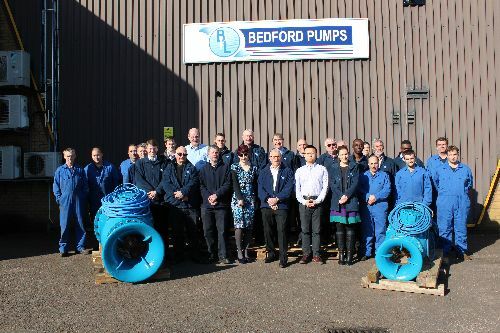 Bedford Pumps Ltd was formed in 1987 by former members of the Pump Department at NEI (WH Allen) after the company closed their pump manufacturing facility within the town. 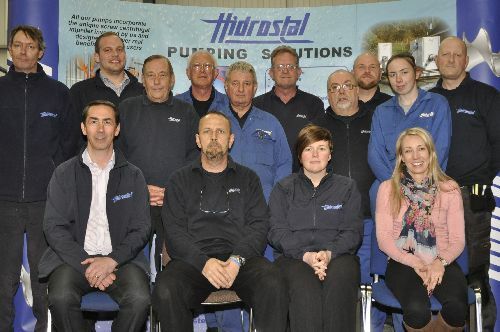 Hidrostal Ltd was established in 1980 and is the UK based sales company for Hidrostal AG, a major Swiss pump manufacturing business formed in 1967. Bare shaft pumps are brought to the UK, where they are customised to specification. This includes the fitting of seals, local manufacture of drive assemblies for vertical sump pumps, fabrication of baseplates for horizontal units and assembly to UK procured motors and couplings. The complete customised pumps are then shipped to the final customer. Hidrostal is the inventor of the screw centrifugal impeller which has been used to create a family of pumps using a variation of the impeller to solve specific pumping problems. The single vane screw impeller offers the best free ball passage without a compromise on efficiency. Hidrostal (GB) Ltd offers the complete “Engineered Solution”. With a state of the art design studio and a specialist test bay, they also undertake complete project management and installation. Their involvement doesn’t end there, a complete service and refurbishment package is also part of their remit as well as workshop repair, site maintenance, hire and service.